The Nerdlesque powerhouse that is Peepshow TO and Zilly Lilly Productions are bringing back the epic sensation The Lord of the G-Strings: A Tolkien Burlesque Tribute! I had the pleasure of working with the Peepshow TO team and collaborated with their graphic designer Sevvy Skellington. Together we pulled off two really fantastic posters to promote this upcoming event! You can check out the final posters below, as well as a ‘making of’ video from our photoshoot! You can catch myself and a cast of fantastic performers at The Lord of the G-Strings on May 20th at Revival in Toronto. Get your tickets TODAY! The gorgeous gals of PeepshowTO are ready to Go-Go in this week’s photoset! Producers Betty Quirk and Sevvy Skellington are joined by Creative Director, Zilly Lilly, to promote our 2018 season of shows! First up is The Lord of the G-Strings: A Tolkien Burlesque Tribute at Revival in Toronto on May 20th. Get your tickets TODAY! The seductive Sevvy Skellington is back this week for part II of her Beyond the Valley of the Dolls set. 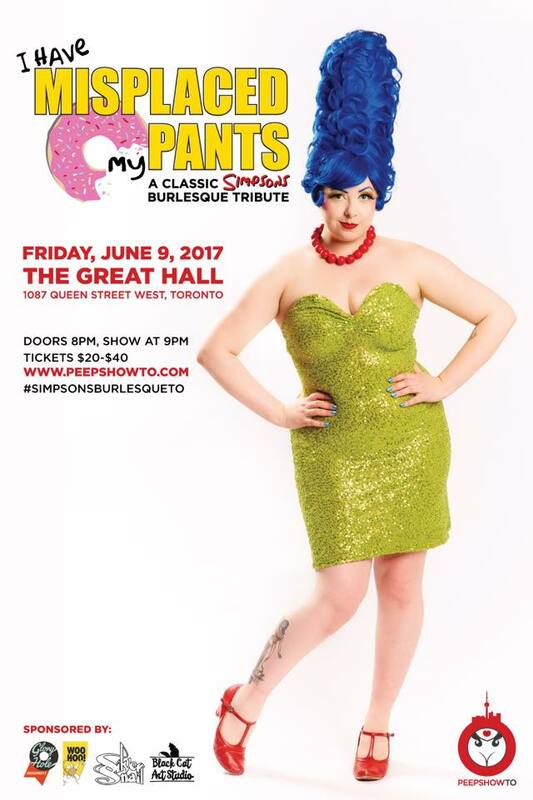 Congrats to Sevvy and the entire PeepshowTO Crew on pulling off another amazing show on Friday night for I Have Misplaced My Pants: A Classic Simpsons Burlesque Tribute! 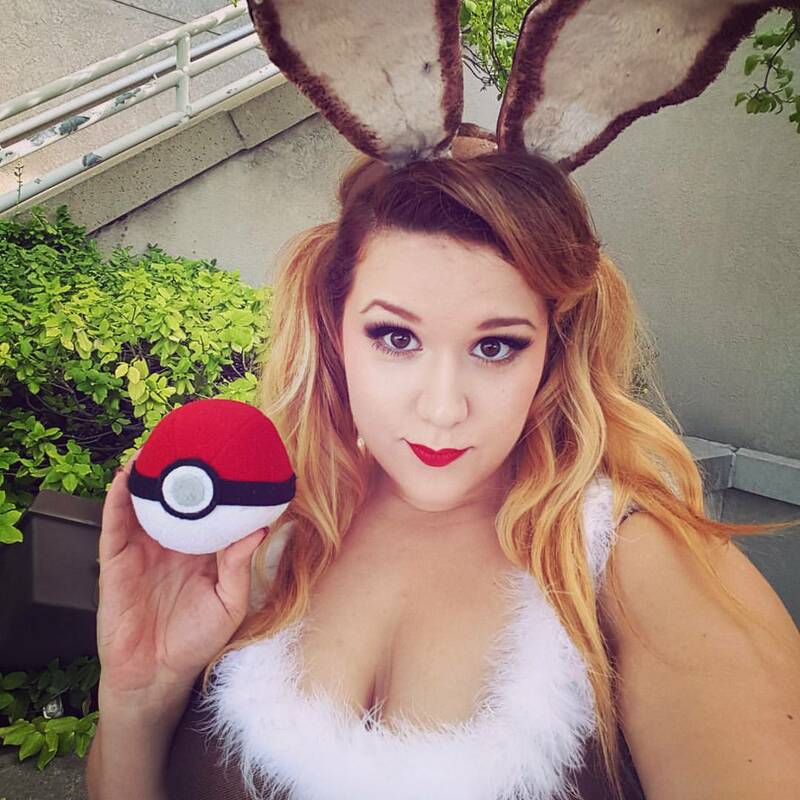 You can see Sevvy on Saturday, June 17th at Yeti Con for Comic Book Burlesque! It’s that time again, the next PeepshowTO production is this Friday, June 9th at the Great Hall in Toronto and if you are a fan of The Simpsons you are not going to want to miss this one!! Back for another classic Simpsons Burlesque Tribute the amazing cast and crew of PeepshowTO are pulling out all the stops! We’ve got your favourite Simpsons characters, doughnuts from Glory Hole Doughnuts, prizes, and a few other tricks up our sleeves. I will be performing a brand new duet with the amazing Burlesque Drag King Henrietta VIII that you won’t want to miss. Tickets are almost completely sold out, so if you still haven’t gotten your GET THEM NOW!!! The sultry Sevvy Skellington is in a daze from all those dolls on this week’s Beyond the Valley of the Dolls photoset! This Nerdlesque producer and performer is part of the Peepshow TO team who are hard at work on their next production I Have Misplaced My Pants: A Classic Simpsons Burlesque Tribute. With Simpsons superfan Sevvy’s eye on this production it is certain to be jam packed with hilarious references and saucy impressions of your favourite Simpsons characters! I’m back from a refreshing break with a new energy and some tricks up my sleeve! I am so excited to share the photos from my latest photoshoot with you! As always, I drew a lot of my inspiration from Russ Meyer and so, since I’ve already done The Valley of the Dolls, this new set is called Beyond the Valley of the Dolls. These gorgeous burlesque beauties were the perfect models for this 60s nostalgic theme and it was an absolutely pleasure capturing Bianca Boom Boom, Sevvy Skellington, Betty Quirk, Dottie Champagne and Ivory in this pink dream set.